Looking for an over-sized dining table? 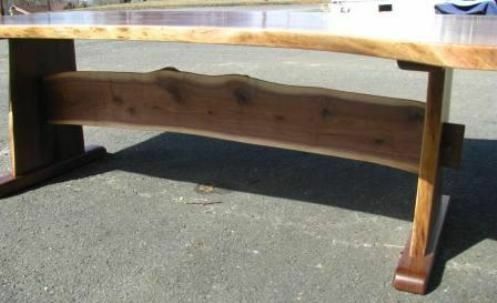 This table is stunning! 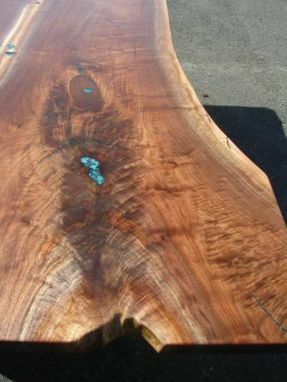 So large, we couldn't get a decent photo, at 104" x 66"! 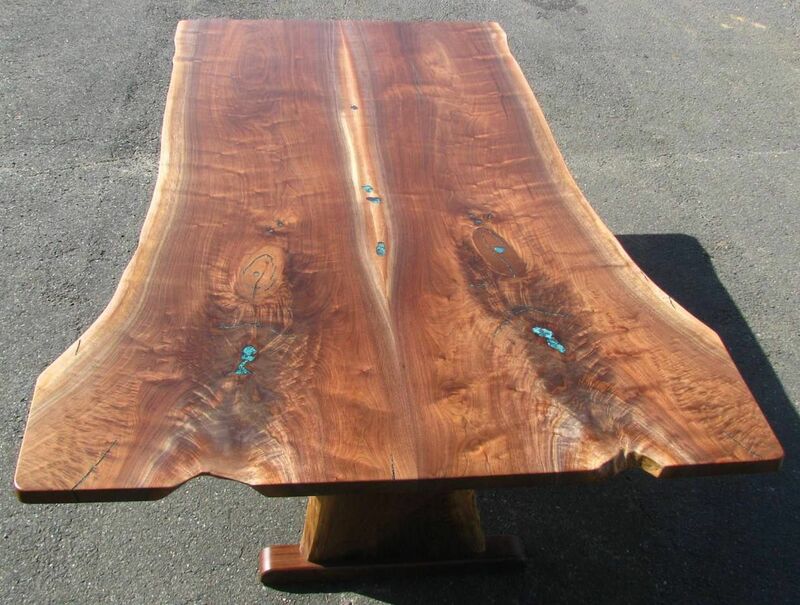 Created from bookmatched walnut slabs with amazing 4-foot long feathered crotch figured woodgrain, Chrysacola inlays, on live-edge trestle base. 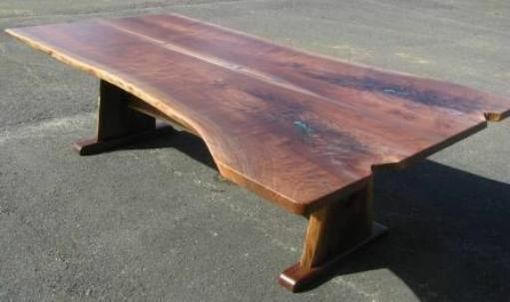 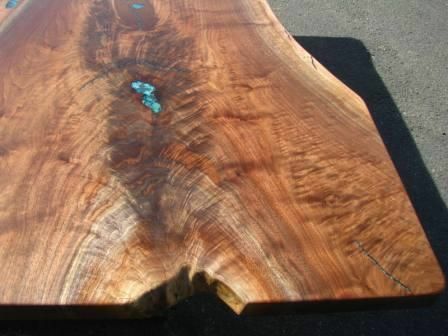 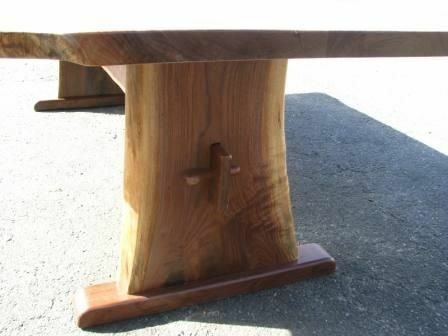 This table went to Texas, but we still have slabs off that same log to create your table!